Delhi Chief Minister Arvind Kejriwal on Friday announced he had approved the doorstep delivery of rations, overruling "all objections" to the proposal, two days after the Supreme Court verdict that clipped the powers of the lieutenant governor. Kejriwal also directed the food department to immediately implement the plan. Lieutenant Governor Anil Baijal had objected to the Delhi government's ambitious proposal of doorstep delivery of rations and asked the AAP dispensation to consult the Centre before executing it. Approved Doorstep Delivery of Rations. Over ruled all objections to the proposal. Directed Food Dept to start its implementation immediately. "Approved Doorstep Delivery of Rations. Overruled all objections to the proposal. 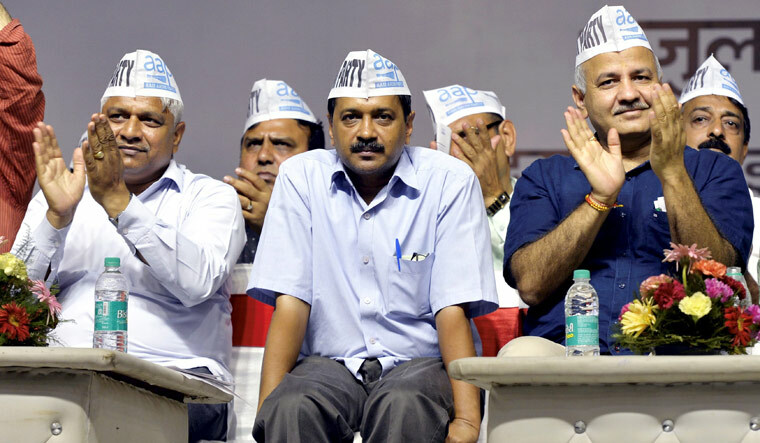 Directed Food Dept to start its implementation immediately," Kejriwal said on Twitter. "Directed dept to keep me informed of daily progress," Kejriwal added in another tweet. A government official said the cabinet had already approved the proposal and sent it to the lieutenant governor for his approval. However, the official sent it back to the government, asking it to consult the Central government. The AAP government argues that the Delhi government does not need any suggestion from the Centre to implement its proposals. Kejriwal gave executive approval to the proposal after the Supreme Court ruled that the LG cannot be an obstructionist and should act on the advice of the elected government. Later in the day, Kejriwal and his deputy Manish Sisodia are expected to meet Baijal to discuss the Supreme Court verdict on the power tussle between the Delhi government and Centre. This will be their first meeting after the Supreme Court order.